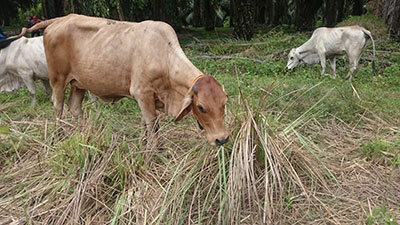 UNE provided monitoring support to East Kalimantan Dinas Peternakan animal husbandry staff and their partners with the importation of Australian breeder cattle. Inputs were confined to the distribution and establishment phase of the project, where activities focused on ensuring that animals were appropriately managed and that the immediate needs to achieve good levels of animal welfare were addressed. Collaboration between the University of New England, Center for Sustainable Production and Consumption (Hue, Vietnam), and Hue University of Agriculture and Forestry. Continued farmer engagement and data collection from DGEA1 in Kenya and Uganda and gathered baseline information on status of dairy genetics in Tanzania and Ethiopia. This is a short term project to evaluate the impact and level of adoption of the technologies developed under ACIAR project AH/2002/038. Collaboration between the University of New England and Cologne University, Germany. Collaboration between the University of New England and Maejo University, Chiang Mai, Thailand. The aim of this small research activity was to determine the potential of soil fingerprinting techniques, which have been developed for purposes such as soil science, criminal forensics, geological exploration and archaeology, to provide evidence for animal origin in assist with biosecurity. This project developed a completely new approach to livestock tracking/provenancing. This was done by combining spectral analysis with data mining, using the concept that soils are spatially unique (i.e. have a spectral ‘fingerprint’). The approach was received enthusiastically by Cambodian government agency representatives. Research phase of a proposed long-term implementation program to develop and deliver appropriate germplasm into the small-holder dairy sectors of Kenya, Uganda and Rwanda (initially). Research includes determining in situ which genotypes work best for poor farmers and working with key players to develop a sustainable business model for widespread delivery of appropriate germplasm. This project sought to increase cattle productivity of smallholder farmers in Cambodia by improving feed availability and quality throughout the year and reducing the labour requirements associated with feeding cattle. It built upon previous introduction of the "fodder bank" system by CIAT and previous ACIAR work on feed-year management. The aim of the project was to design and validate protocols for ground-truthing remotely sensed data in approximating feed availability. Maize is a relatively new crop in Cambodia with substantial potential but risk of declining sol fertility if not properly managed. 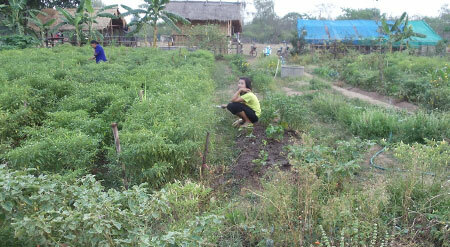 The project develops and disseminates appropriate production, harvest and post-harvest methods. Several visits have taken place and several MSc/PhD students recruited. PSLP under development to assist in development of a suitable university curriculum. Review of ACIAR project AH/2006/166 "Improving veterinary service delivery in a decentralised Indonesia"
This was a short term consultancy to conduct a mid-project review of this ACIAR project. This project seeks to develop double cropping options for a rice/non-rice (mung bean, soybean and peanut) system for small-holder farmers in Cambodia, and to promote non-rice crop technologies that are efficient users of water and deliver higher financial returns to growers. The project explored the drivers and opportunities to invest in livestock genetics to improve livelihoods of poor farmers in SSA. Recommendations were made to the Foundation funding the project on four potential projects for investment that were expected to yield a large impact on farmer livelihoods. An investigation of the minimum level fresh grass needed to supplement rice straw in the diet of cattle; Effects on feed intake, the rumen ecosystem and diet digestibility. provide the means for ongoing genetic and non-genetic improvement of tropically adapted beef cattle. This project consolidated and field tested, under shepherd management, the improved reproductive rate and parasite resistance of Decanni sheep, using genes that have been introduced from other Indian breeds as a result of earlier ACIAR funded research. A post-project workshop led to the publication: Use of the FecB (Booroola) gene in sheep breeding programs in India.